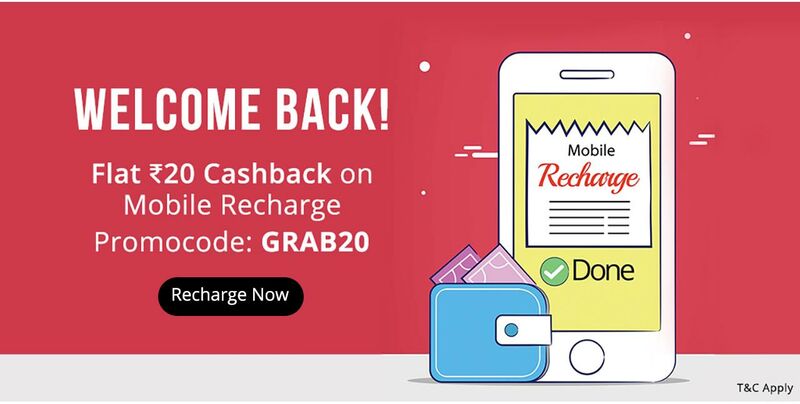 How To Get Rs 20 Cashback on Rs 50 Recharge? 1 . Download Paytm App Here. 2. Login/Sign up 3. Initiate a Recharge of Rs 50 or More. 4. Apply Promocode- GRAB20. 5. Proceed to Pay and pay the amount using any payment mode. 6. Done! You will get Rs 20 Cashback within no-time.